The drug is the fresh fruit or leaf of Dracontomenlon duperreanum Pirre (Family Anacardiaceae), growing in the forest in the mountainous area, and distributed in Guangdong, Hainan, Guangxi and Yunnan of China. Sweet, sour, neutral; liver, spleen and stomach meridians entered. Strengthen the spleen and promote digestion, promote secretion of saliva and relieve thirst. 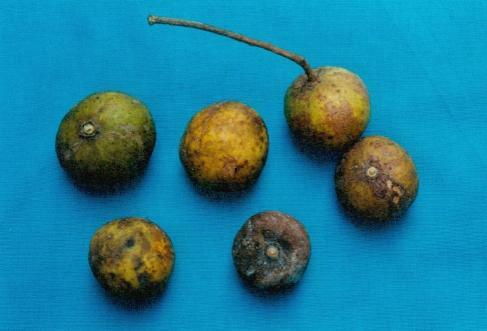 Poor appetite, indigestion, thirst due to fever for oral use; bedsore and rotted sores for external application. 3~5 of the raw is for oral taking, or decoct in water. Proper dosage is for external application, pounded for applying.